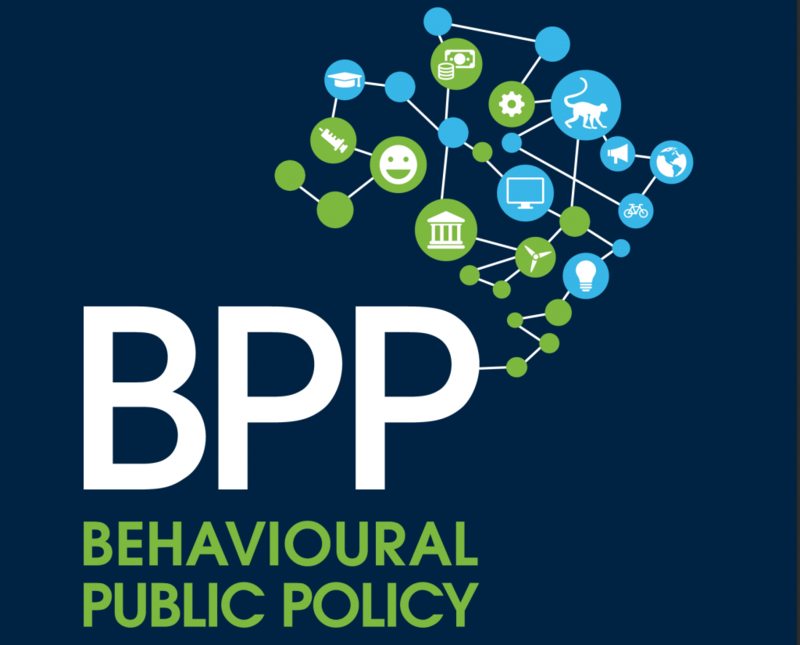 Behavioural Public Policy is an interdisciplinary and international peer-reviewed journal devoted to behavioural research and its relevance to public policy. The study of human behaviour has recently taken on growing importance within many disciplinary specialties and in recent years the findings from this field have begun to be applied to policy concerns in a substantive and sustained way. BPP, edited by George Akerlof (Georgetown University, USA), Adam Oliver (London School of Economics, UK) and Cass Sunstein (Harvard University, USA) and published by Cambridge University Press, seeks to be multidisciplinary and therefore welcomes articles from economists, psychologists, philosophers, anthropologists, sociologists, political scientists, primatologists, evolutionary biologists, legal scholars and others, so long as their work relates the study of human behaviour directly to a policy concern. BPP focuses on high-quality research which has international relevance and which is framed such that the arguments are accessible to a multidisciplinary audience of academics and policy makers. some nudges produce compensating behavior, resulting in no net effect. fortify the effects of the nudge, perhaps through counter-counternudges, or perhaps through incentives, mandates, or bans. Conventional economic policy focuses on ‘economic’ solutions (e.g. taxes, incentives, regulation) to problems caused by market-level factors such as externalities, misaligned incentives and information asymmetries. By contrast, ‘nudges’ provide behavioural solutions to problems that have generally been assumed to originate from limitations in human decision making, such as present bias. While policy-makers have good reason for exploiting the power of nudges, we argue that these extremes leave open a large space of policy options that have received less attention in the academic literature. First, there is no reason that solution and problem need have the same theoretical basis: there are promising behavioural solutions to problems that have causes that are well explained by traditional economics, and conventional economic solutions often offer the best line of attack on problems of behavioural origin. Second, there is a wide range of hybrid policy actions with both economic and behavioural components (e.g. framing a tax or incentive in a specific way), and there exist many societal problems – perhaps the majority – that arise from both economic and behavioural factors (e.g. firms’ exploitation of consumers’ behavioural biases). This paper aims to remind policy-makers that behavioural economics can influence policy in a variety of ways, of which nudges are the most prominent but not necessarily the most powerful. Why does public conflict over societal risks persist in the face of compelling and widely accessible scientific evidence? We conducted an experiment to probe two alternative answers: the ‘science comprehension thesis’ (SCT), which identifies defects in the public’s knowledge and reasoning capacities as the source of such controversies; and the ‘identity-protective cognition thesis’ (ICT), which treats cultural conflict as disabling the faculties that members of the public use to make sense of decision-relevant science. In our experiment, we presented subjects with a difficult problem that turned on their ability to draw valid causal inferences from empirical data. As expected, subjects highest in numeracy – a measure of the ability and disposition to make use of quantitative information – did substantially better than less numerate ones when the data were presented as results from a study of a new skin rash treatment. Also as expected, subjects’ responses became politically polarized – and even less accurate – when the same data were presented as results from the study of a gun control ban. But contrary to the prediction of SCT, such polarization did not abate among subjects highest in numeracy; instead, it increased. This outcome supported ICT, which predicted that more numerate subjects would use their quantitative-reasoning capacity selectively to conform their interpretation of the data to the result most consistent with their political outlooks. We discuss the theoretical and practical significance of these findings. Most applications of behavioral economics, finance, and accounting research to policy focus on alleviating the adverse effects of individuals’ biases and cognitive constraints (e.g. through investor protection rules or nudges). We argue that it is equally important to understand how psychological bias can cause a collective dysfunction – bad accounting policy and financial regulation. We discuss here how psychological bias on the part of the designers of regulation and accounting policy (voters, regulators, politicians, media commentators, managers, users, auditors, and financial professionals) has helped shape existing regulation, and how an understanding of this process can improve regulation in the future. Regulatory ideologies are belief systems that have evolved and spread by virtue of their ability to recruit psychological biases. We examine how several psychological factors and social processes affect regulatory ideologies. It is commonly assumed in affluent, Western, democratic societies that by enhancing opportunities for choice, we enhance freedom and well-being, both by enabling people to get exactly what they want and by enabling people to express their identities. In this paper, we review evidence that the relationships between choice, freedom, and well-being are complex. The value of choice in itself may depend on culture, and even in cultural contexts that value choice, too much choice can lead to paralysis, bad decisions, and dissatisfaction with even good decisions. Policy-makers are often in a position to enhance well-being by limiting choice. We suggest five questions that policy-makers should be asking themselves when they consider promulgating policies that will limit choice in the service of enhanced well-being. The relationships between choice, freedom, and well-being are not simple, and an appreciation of their complexity may help policy-makers target their interventions more effectively. Viewed from both an ethical and practical perspective, it is clearly desirable that public sector allocative and regulatory decisions should, so far as possible, reflect the preferences of individual members of society. It is therefore hardly surprising that, in appraising proposed safety improvements, public sector bodies have displayed an increasing tendency to estimate the benefits of such improvements on the basis of values of safety defined in such a way as to reflect the preferences and attitudes to safety of individual members of the public. However, given the technical complexity of many public sector safety decisions, it is also necessary to rely on expert analysis and informed judgement in reaching such decisions, so that preference-based values of safety should be regarded as being only one input to the decision-making process. In addition, the definition and estimation of the values themselves raise a number of practical and ethical questions. The purpose of this paper is to consider the role that preference-based values of safety can realistically be expected to play in these decision-making processes, given these difficulties and limitations.